Amazon has been saying it for quite some time and now the giant has announced its advent officially into the world of Virtual Reality in a celebrated Re:Invent AWS event. It is not only VR that AWS (Amazon web service) is rolling out its services for. The web service giant is looking forward to work on mixed reality app building technique by including AR, VR, and 3D app development. Amazon Sumerian is the innovative platform for developers to host apps with minimal coding. The apps are supposed to have a mix of virtual reality, augmented reality as well as 3D effect. These apps will be built for tablets, smartphones as well as for web browsers. Sumerian is free as the users need to pay only for the storage. For the initial stage, the services are only made available as browser-based support for WebGL or WebVR graphics rendering, including HTC Vive, Daydream, iOS mobile devices, and Oculus Rift. 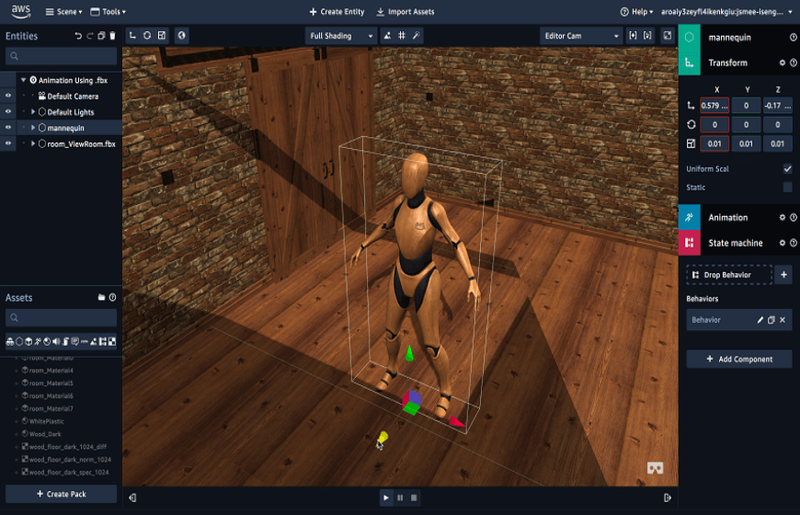 Using the pre-built object library environment, Amazon is including the ability to design the apps having AR, VR and 3D application building technology. The focus has been given to the ability to create animated characters. The giant is making use of Lex speech recognition to build the apps in the above-mentioned category. Amazon is integrating with third-party developers in order to add a host of innovative features in the apps like Mapbox for location services. Amazon is quite ambitious with its app-building projects by including the goodness of AR, VR as well as 3D mobile app building technology. The new wave of making apps having mixed reality is sure to be one popular in the mobile app gaming industry.